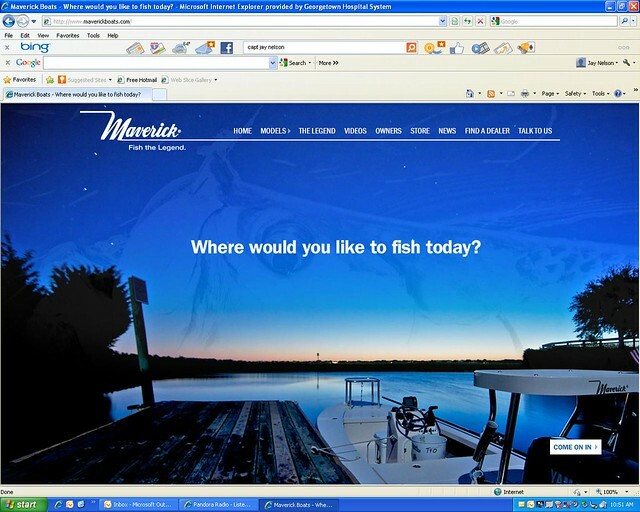 You will be fishing from a Maverick HPX-V 17. The HPX is a proven flats skiff capable of fishing shallow water and handling chop on those windy days. It is powered with a 90hp Yamaha motor so we can get to fishing grounds in a hurry. This is one of the best poling skiffs on the market and allows us to navigate the shallow water where redfish like to hold. The HPX also allows us to pole across grass flats while searching for tailing reds. The Maverick fishes two adult anglers very comfortably. We can also accomodate one adult plus two children.